PHOTOGRAPHY is surviving by becoming less and less noticeable. That is not to say there are fewer and fewer photographers out there – everyone with a mobile phone is a ‘photographer’ and snappers are still coming out of the colleges. But what seems like a reversal of evolution, the quality of images being used seems, to me, to be declining. Photography as an art form is being hung out to dry. Photography is Dead, Long Live the Happy Snap. Mark Getty’s now famous quote that intellectual property is the ‘oil of the 21st century’ may be true, but, if anyone is benefiting, it’s not the creators. Certain publications employ unqualified students to shoot for them under the guise that it is good experience. The pay is trivial and they are duped into signing away copyright of their work. So, exactly who is to blame? Well any publication worth ‘its salt’ needs a great picture editor who knows about the power of images. But should they be unsupported from above, especially with cash to commission good photography, they might as well be a monkey behind the desk. Editorial photography has never been a highly-paid field in which to work and yet some work excelled. 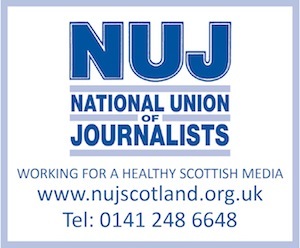 In years gone by, many of the Scottish press could compete with the likes of The Guardian and The Independent. Now, however, the power of photography – both to illustrate articles, and around which articles were often written – I’d say has all but disappeared. When was the last time you opened the pages of a Scottish newspaper and were grabbed by the image? Not for a while I would wager. Where have all the great press and editorial photographers gone? I see nothing in the Scottish press – newspapers and magazines, together – that would make me look twice. No articles illustrated by thought-provoking, beautifully-lit, stunningly-composed imagery. And that casual approach to photography seems to be seeping into the Scottish press. I have been in several situations where – having set up a shoot, lit and composed it – my colleagues pile in, and shoot right over my shoulder. Where’s the originality in that? Where’s the incentive to be original? The Scottish press perhaps used to have ‘it’, but they certainly don’t have it now.